As most have probably already learned, there is very little sport in sport utility vehicles. Generally they lean much heavier to the utility side of the equation. 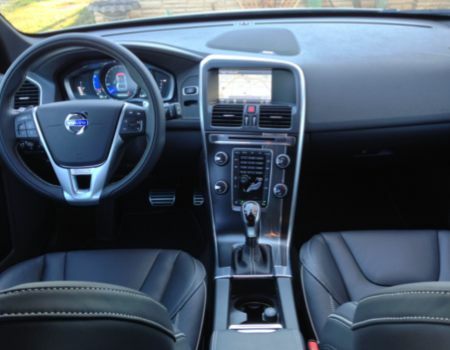 Unless you are the new Volvo XC60 R-Design with Polestar package and that is exactly what Volvo recently sent us. 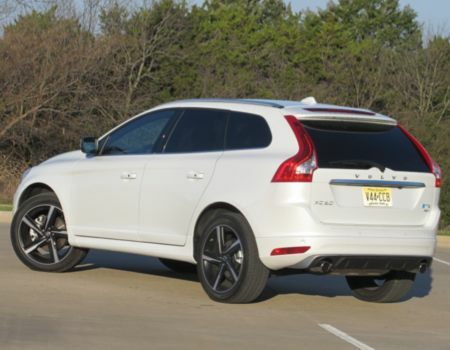 Sport…Utility…Vee-hickle – a midsize luxury SUV with a real emphasis on sport. For model year 2014, Volvo gives XC60 a reasonable makeover with attention paid to exterior and interior design tweaks along with a technology update and a family of new Drive-E four-cylinder engines. Our tester however featured the most powerful engine available for the lineup but we certainly were not complaining. On the outside, the new models receive a new hood shape and side bodylines along with new headlamps and integrated tailpipes. Inside there are new wood inlays, a new headliner and some other minor upgrades along with a new sport seat to help keep the driver in place when exploring the sporty side of this ute. As I mentioned earlier, our test model arrived in R-Design trim meaning it rides on a stiffer, sportier chassis that Volvo loads with more dynamic driving properties including a sport-tuned suspension, lowered chassis and stylish 20-inch alloy wheels. And the aforementioned Polestar package kicks the twin-scroll turbocharged 3.0-liter six-cylinder engine output to 329hp through a six-speed Geartronic automatic transmission with paddle shifters and advanced quick shift for firm, fast gear changes. R-Design vehicles receive unique front and rear bumpers and fascia along with an air diffuser at the rear. An Adaptive Digital Display offers the option for drivers to switch between three layouts: Elegance, Eco and Performance. Guess which one we utilized during our week in the hot, new ride? Some of the technology available to drivers include Corner Traction Control that uses torque vectoring to provide smoother cornering along with dynamic stability and traction control with advanced stability control with gyroscopic roll-angle sensor for more precise anti-spin assistance and engine drag control to assist with control while braking. And there are also sport settings allowing for the driver to disable some of this “nanny” technology. 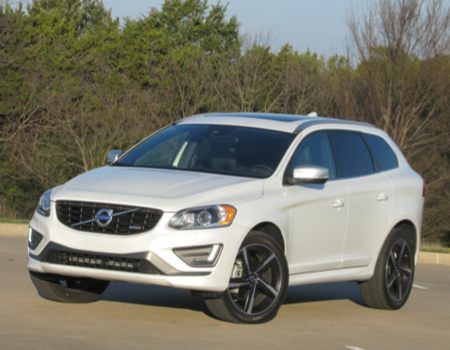 The 2014 Volvo XC60 R-Design does include all of Volvo’s latest safety technology including the City Safety low-speed collision avoidance system and the blind spot information package adds blind spot and rear cross traffic alert as well as lane change merge aid and front and rear park assist. 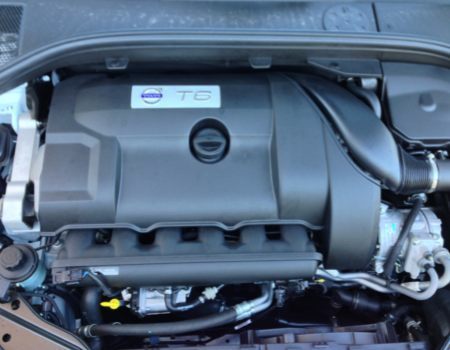 As I mentioned in my S60 review recently, modern Volvo is not the car company folks have an image of in their heads. They no longer stack vehicles on top of one another to make a point about safety and after taking one out for a drive you would be hard-pressed to tell me your opinion has not changed. Modern vehicles are stylish, sporty (damn-sporty in the case of R-Design and Polestar models) and yes, still very, very safe. 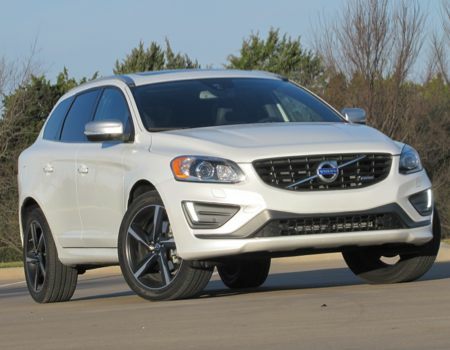 Pricing for the 2014 Volvo XC60 R-Design begins at $45,800 with our over-loaded tester arriving with a sticker of $52,665. The last sport- or crossover-utility vehicle I truly enjoyed driving was the BMW X3 and I have to say I think I like this new XC60 R-Design even better. One postscript to this review, I received the vehicle a short time after Wayne Shulz posted the article about the new iOS offering CarPlay integration and Volvo being one of the first automakers to offer it. Alas, no CarPlay in this test model, even after updating my iPhone.